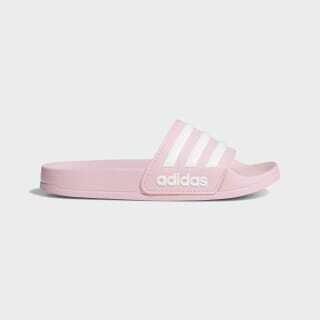 Cushioned slides for kids' feet. Treat their feet after they hop out of the pool with these kids' slides. Quick-drying and ultra-soft, they cradle their feet with lightweight cushioning. Big and bold adidas branding adds a classic look.